Colonial Heritage, located in Williamsburg, Virginia, is much more than a unique collection of beautifully designed low maintenance homes in a wonderful golf course Community. It is the perfect place for active adults 55 years of age and better. 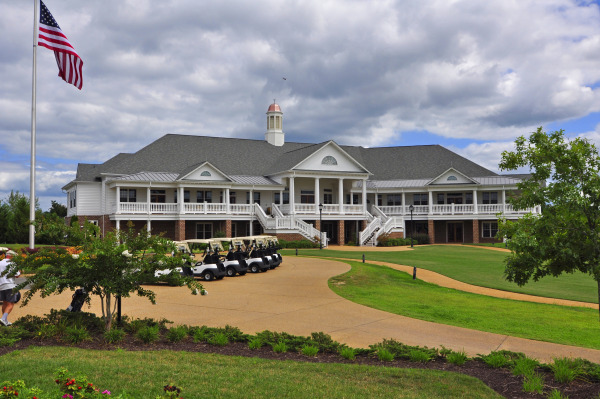 The beautiful and elegant Heritage Clubhouse is the focal point of community recreational, social and cultural activities. Hobby and special interest clubs will meet here. The range of offerings centered around this magnificent 25,000 square foot facility surpasses those of most resorts. Colonial Heritage features a 24 hour manned gated entrance and an 18-Hole Championship golf course, designed by world-renowned designer Arthur Hills, that winds its way through the neighborhoods. There is also a pro shop and a full practice facility including putting green and driving range. The 7,500 square foot fitness center is highlighted by indoor and outdoor pools, and a special aerobics room. Homes in Colonial Heritage range in price from $223,000 to $445,000 and are 1,402 - 4,504 square feet in size. Want to Get the Scoop on Colonial Heritage homes for sale? Simply click below to fill out the form, designating Colonial Heritage as your selected neighborhood, and you’ll receive automatic e-mail alerts when any new listings come on the market in Colonial Heritage, or when any closings take place, so that you can monitor home values in Colonial Heritage.